Project DaRT was conceived originally as a translation theory reading group. At the beginning of the academic year, we meet to design our reading schedule and decide what texts we would like to discuss. 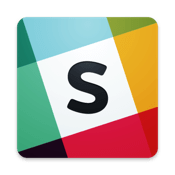 Even though we meet every Friday, we maintain constant communication through the online collaboration tool Slack, which allows us to share and store our documents and facilitates communication for the organisation of workshops and events. It is through Slack that we share the links to the texts we have decided to discuss, which are first uploaded to a platform called DocDrop: this enables us to share the documents on a private cloud and annotate them together. For annotations we use Hypothes.is, a non-profit tool developed with the idea of bringing new layers of conversation to the web. With their widget for Google Chrome, we can easily highlight the documents and start our conversation about them before our meetings. We then meet on Fridays to reflect on the texts, discuss our ideas and doubts about them, and record a podcast to share with the wider community and keep a record of our development as researchers. If you are interested in our discussions, our podcasts are available on MixCloud and on our archive. If you would like to know more, feel free to contact us!